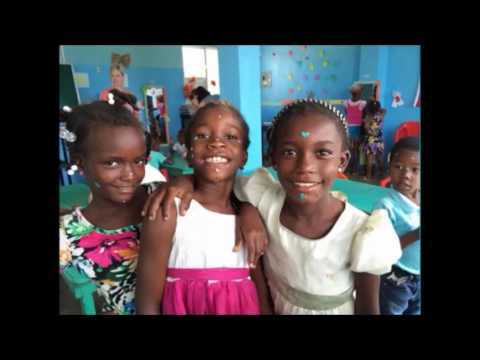 Registered Name: RAYJON SHARE CARE OF SARNIA INC.
Rayjon Share Care supports partners in Haiti and the Dominican Republic to enhance their well-being and capacity. Rayjon provides a bridge between those who can help and those who need and want help in Haiti, the Dominican Republic and other developing countries. Rayjon Share Care is a registered charity focusing on development projects in Haiti and the Dominican Republic. Our aim is to provide education, health, literacy, training, and resources (microfinance) to enable beneficiaries to achieve their goals, develop their knowledge and potential, and to participate fully in the wider society. A world in which people have an equal opportunity to thrive- empowered, independent and self-sufficient. Rayjon is a volunteer based organization with very low administrative costs. In Canada, Rayjon is led by a capable, volunteer Board, with a total budget of about $330,000. We do not receive funding from the Canadian government, and so rely entirely on the generous support of our donors. Community development projects in the rural Haut de St. Marc area, Haiti include a rural elementary/secondary school (250+ students), a women's microfinance program, adult literacy classes, and capacity building training. In urban Cap Haitian, Rayjon supports a nutrition centre for malnourished children from 9 to 59 months, Like Skills training for parents, and adult literacy classes. In the Dominican Republic, on the outskirts of the town of Consuelo, in a marginalized neighbourhood known as Barrio 41, our partner supports a preschool program that provides a hot meal daily for 40 children, ages 2 to 7. A community garden assists area families to meet some of their nutritional needs and to learn skills to create their own vegetable garden. Our Eyeglass Program collects, prepares and distributes prescription eyeglasses to communities throughout the developing world, giving the gift of sight. To date our Eyeglass Teams have distributed over 17,500 pairs of prescription glasses! Rayjon volunteers also lead awareness trips to Haiti and the Dominican Republic for adults and students 16 years of age or older. "FOR A LONG TIME, I HAD WANTED TO SIGN UP IN A LITERACY CENTER BUT I HAD NO ONE TO HELP ME. THANKS TO A NEARBY FRIEND WHO INVITED ME TO JOIN HER, I AM NOW SIGNED UP IN THE CENTRE’S LITERACY PROGRAM. BEFORE, I COULD NOT READ OR WRITE. NOW, I CAN READ AND WRITE, IT IS MY GREATEST SATISFACTION IN LIFE." "Dorcin got stuck on a grade so he left secondary school and entered the vocational training pilot program, where he continues to receive tuition support. Regarding the vocational program, he says “IT WAS THE BEST THING THAT EVER HAPPENED FOR ME.”"